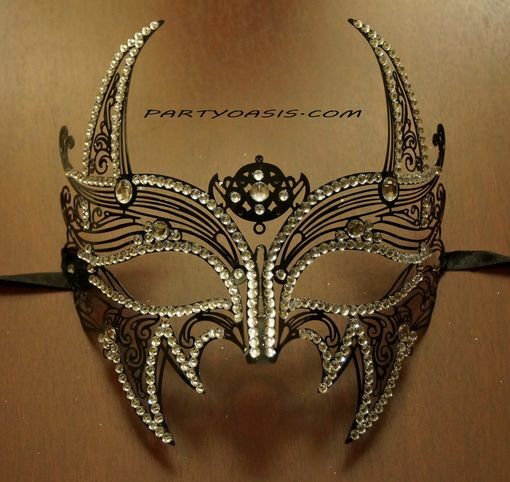 A light-weight, laser cut metal mask. It features a bat design, with streaking lines over the eyes, and swirl designs. It has a gloss black finish, and has clear jewels outlining and enhancing the edges. Each mask comes with ribbon ties, and measures 7�H x 7�W x 4�D.